Even with the Viper being discontinued, Henrik Fisker is going to be just fine. Now that the supply of Dodge Vipers has gone dry, the Chevrolet Corvette has no competition from within the USA. Well, maybe the Ford GT can serve up a plate of dust for the ‘Vette’s grille if it feels like it, but its priced to compete with Ferraris and McLarens, not fiberglass front-engine sports cars. Except somewhere in this corner of the world there’s a small supply of brand new Vipers that can continue to give the Corvette some hell, at least that’s the word from Automotive News. The only problem is that to get ahold of one, you’ll have to be willing to shell out Ferrari and McLaren money and kiss hopes of the Viper body goodbye. In exchange you’ll get a VLF Force 1 V10, Henrik Fisker’s Viper-based supercar that looks as sinister as the Viper but comes cladded in carbon fiber. 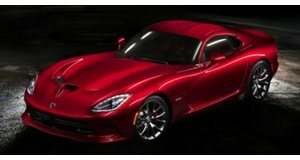 While speaking with AN, Fisker revealed that he worked out a deal with Ben Keating, a Viper lover who happens to own The Viper Exchange, to secure a handful of donor cars to keep Force 1 V 10 alive even though the Viper was being phased out. You may remember Keating as the guy who helped design and build the Force 1 V10. He also, as Motor Authority points out, is the fanatic who’s crowdfunding a Nurburgring lap time record attempt with the Viper ACR and is supplying the Vipers that will be used in the run. Though Keating is the owner of the Viper specialty dealership, the only way he managed to secure 50 Vipers for Fisker is by locking them down early on in the Force 1 V10 project timeline. Sacrilege or not, the end project will be interesting to say the least. For $268,500, you can have a copy of your own and though neither the Viper body or price point comes preserved, the gargantuan 8.4-liter V10 engine is intact, only it has its output cranked up from a yawn-inducing 645 horsepower to 745 ponies. Not quite your father’s Viper now is it?